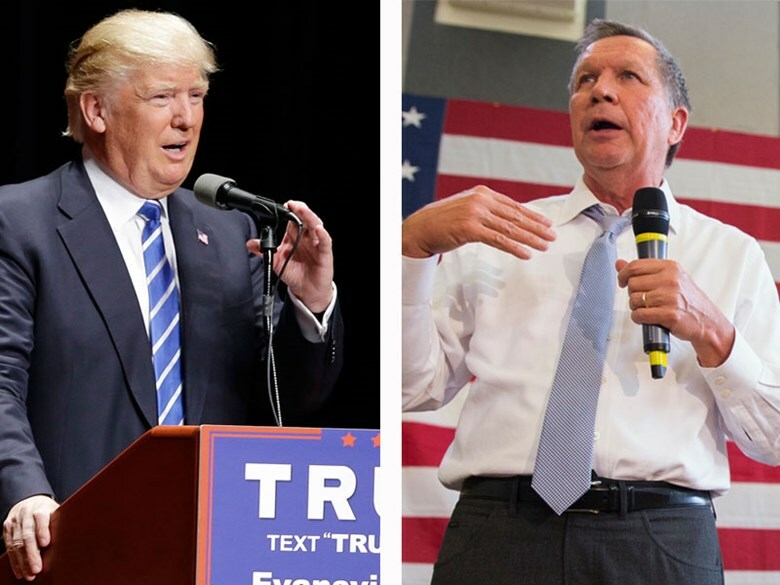 By Chris Nichols on Saturday, April 30th, 2016 at 12:13 p.m.
Presidential hopefuls Donald Trump and John Kasich spoke on Friday at the California Republican Party Convention south of San Francisco. Scroll through our coverage of their speeches below to see how @CAPolitiFact checked out their claims. We've also included some protest scenes captured at the convention. Follow us on Saturday @CAPolitiFact as we check claims by presidential hopeful and Texas Sen. Ted Cruz as he speaks at the convention. Read our PolitiFact 'Report Card' article on Cruz here.